FLAMINGO VAPOR - "The Audacity of Hope"
What makes this sprawling 41 track compilation different from others? In order to be included on this compilation, the one requirement was that each artist create their contributions entirely in Audacity, the legendary freeware audio editing software, often used by burgeoning independent artists because of its intuitive interface and its lack of a price tag. I myself recorded my first EP many years ago with an old hand-me-down PC and Audacity. It's a suprisingly versitile DAW considering that it is freeware. There certainly are limits compared to other, more robust programs, so I was interested to see what this compilation was going to be like. This album is overwhelming in scope, but highlights include Keyboard Dust by Vinyl Dial, a jazzy futurevape with smooth keyboards and flutes over a shimmering ambient wall, Endless by Abandoned実体, a larger than life drone swell with orchestral vibrations that evoke visions of light beaming down from the heavens, and FIREPOWER by Argiflex, a kicking drum & bass track with some enjoyable classic throwbacks. What these artists were able to do in this compilation was to, first, celebrate Audacity, which was the first DAW many independent artists begin with, and then go beyond that to demonstrate that they were able to create quality work - no matter what software they are using to get the job done. The variety of genre and style in this release is wide-ranging, but still is arranged in a cohesive tracklist, curated by artist Valet_Girls. 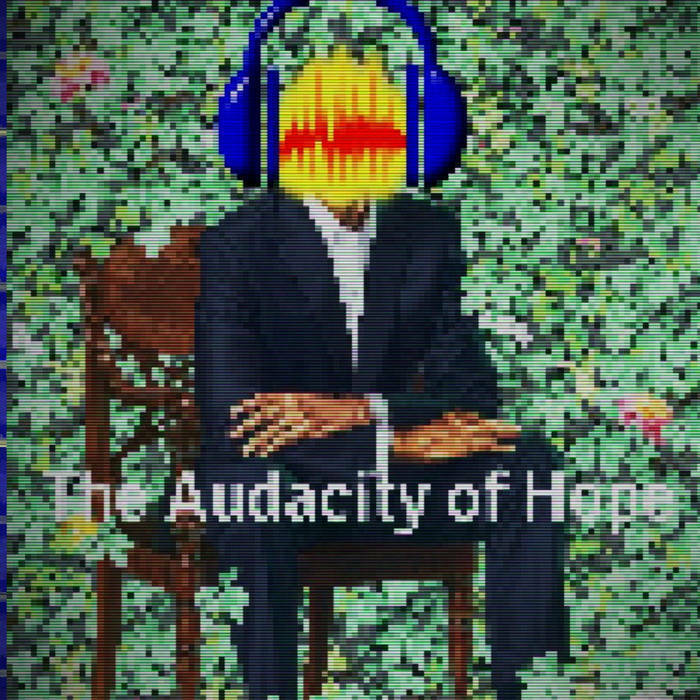 If you are looking for a formidable release to sink your teeth into, Audacity of Hope may just be the album you were looking for. It’s a virtual who’s who of vapor & electronic artists that pulls many elements and styles together, in the glorious little program we all know and love, Audacity. Newer PostDOT DASH - "Proto Retro"
Older Post[Album of the Month] RECLUSE RACCOON - "Recluse Racoon"